Thrills and spills await on virtually every turn on the daylong driving adventure along the Hana Highway to the Pools of Oheo, which is the ocean section of Haleakala National Park. But that drive is only prelude to the Pipiwai Trail, a jaunt into the heart of darkness with two waterfalls that are among the most scenic in Hawaii. 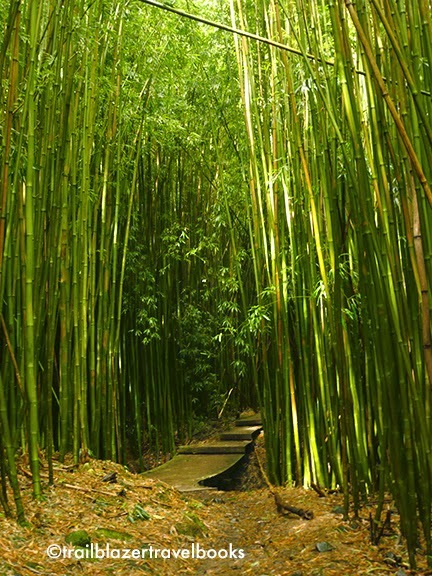 Get off the boardwalk only a few steps in the bamboo forest and you won't know which way is up. Distances are about a half-mile farther, roundtrip, if you park at the visitors center. Total elevation gain is about 900 feet. Fit trekkers can do the hike in two to three hours. So, to do this hike from Lahaina or Kihei, plan on a long day—one that packs in a week's worth of adventure. Two sturdy bridges span stream gorges in between the two falls, this one the entranceway to a bamboo tunnel. 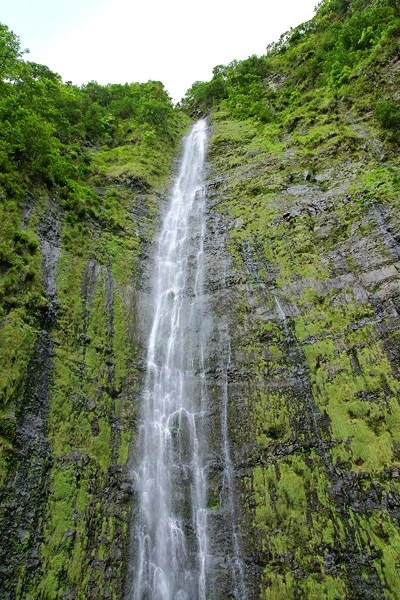 Falling 400 feet into a mossy amphitheater, Waimoku Falls is the headliner. But the Falls at Makahiku is a worthy destination, if you don't have time for the whole hike: The trail takes you a ledge at the top of the falls. There's more detailed information in your Maui Trailblazer guide.